The album has finally arrived! 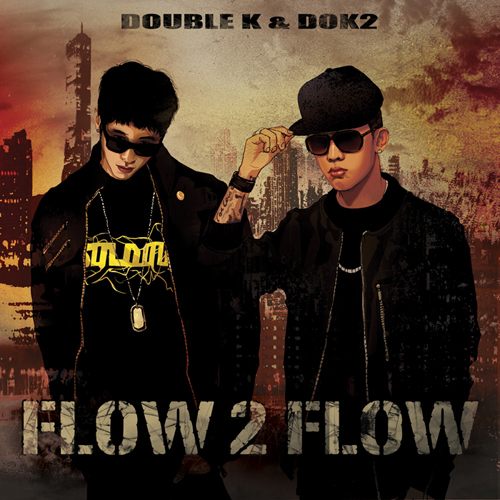 Southern style hip-hop artist DOK2 and Super Rappin’ Double K started off the year 2011 with a bang by announcing their project album ‘Flow 2 Flow‘. Previously, DOK2 and Double K impressed hip-hop fans through their dynamic skills in tracks such as ‘훔쳐 (Steal)’, and ‘ADVICE’ and received extremely positive response when they first announced this project last year. The project album ‘Flow 2 Flow‘ is not only a long-term project between the hip-hop duo, but is an “ILL PROJECT” demonstrating ten years of hip-hop experience, friendship and respect. The album features latin-beat and title track ‘21st Century Traveler’, emotional track ‘Lost‘, battle-rap style track ‘I Won’t Lose‘, ‘Advice 2‘, and southern hip-hop style tracks ‘Break Beatz‘ and ‘Die Legend 3‘. This project album features various artists in the Korean hip-hop scene: Garion, Tiger JK of Drunken Tiger, Sean2Slow, Jay Park, Bizzy, Park Seonju, Paloalto, B-Free, Swings, Beenzino, Yankie of TBNY, Bumkey, and Rado.